Pick up your adventures where you left off, now in even more glorious technicolour. 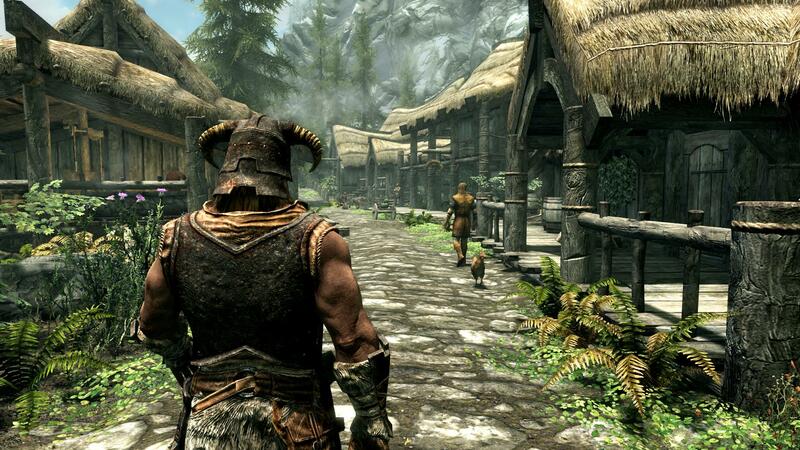 If you currently play The Elder Scrolls 5: Skyrim on a PC there’s even more good news for you regarding the upcoming Special Edition re-release: Bethesda’s Pete Hines has tweeted that saves “should” be compatible for those who upgrade from the original to the Special Edition. No word on consoles yet, although it seems unlikely; Bethesda would probably need to create some sort of external save transfer, and convince Sony and Microsoft to allow them to implement it. Don’t hold your breath. Hines also said the Special Edition is for 64-bit build of Windows only, and will have its own Creation Kit for mods shared on Bethesda’s network. As a reminder, on PC this upgrade will be free if you’ve got all the add-ons or the Legendary Edition, will be “basically” compatible with existing mods, and looks absolutely amazing in comparison to the original. The Elder Scrolls 5: Skyrim Special Edition releases in October for PC, PS4 and Xbox One.